New type of magnetic nanomaterials is described. These are the ferromagnetic nanoregions (ferrons) in antiferromagnetic and ferromagnetic semiconductors near Curie point with a giant red shift of the band-gap, the nanoregions with destructive magnetic ordering in ferromagnetic semiconductors with the giant blue shift of the band-gap (antiferrons) and the nanoregions with layered antiferromagnetic order in semiconductors in which the most part of spins has antiferromagnetic order (afmons). 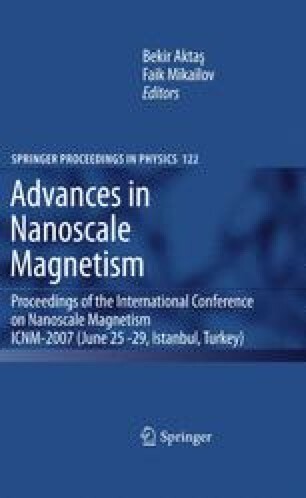 Namely these nanoscale regions hold responsible for the giant effects of a magnitoresistance and a volume magnetostriction and for peculiarities of magnetic and another properties.